Range of banana ripening air coolers designed for application in airbag and side curtain ripening rooms. Thanks the fan motors with high additional pressure and their complete reversibility they provides uniform banana ripening. 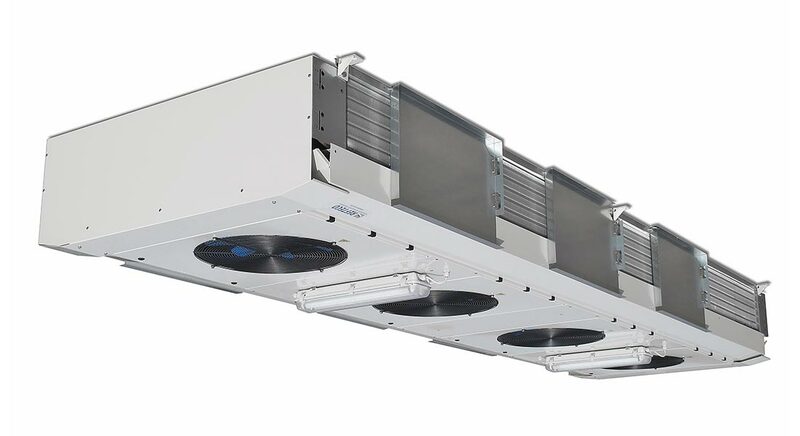 This line of air coolers already tested in several installations is suitable for rooms with 1 2 or 3 layers of pallet and from 6 to 30 pallet. Options: Reversible fans, EC fans, stainless steel tubes, stainless steel casing, stainless steel fins, coil coating.